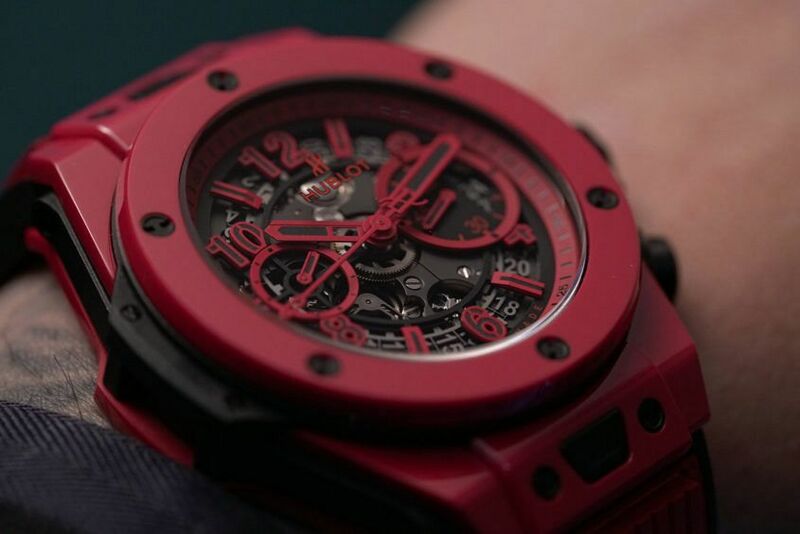 Perhaps it’s just the football, but we’ve got Hublot on the brain at the moment. And while the Referee watch, with its smart interface and snazzy, over the sweatband look — as rocked by FIFA’s refs — is a winner, it’s not the only one in their arsenal. There’s Big Red, which is what I’ve nicknamed the franky epic red ceramic Big Bang, a watch you need to see to really appreciate. But even if you don’t, take it from us that the shade of red is awesome, and awesomely hard to develop. And then there’s a slightly smaller Bang — the 42mm take on the classic Big Bang. These two watches are pretty classic takes on the famous Hublot shape, but there’s also a Spirit of Big Bang that’s seemingly made entirely of sapphire and precious stones, and then there’s the wrist-sized artworks that are the latest Orlinski collabs. All told, Hublot’s 2018 collection is Hublot doing what Hublot does best: material innovation and unbeatable statements.